Become a Food Vendor — streetstop StreetStop is the app. that connects food trucks and hungry humans using GPS, pre-paid orders and fast pickup. 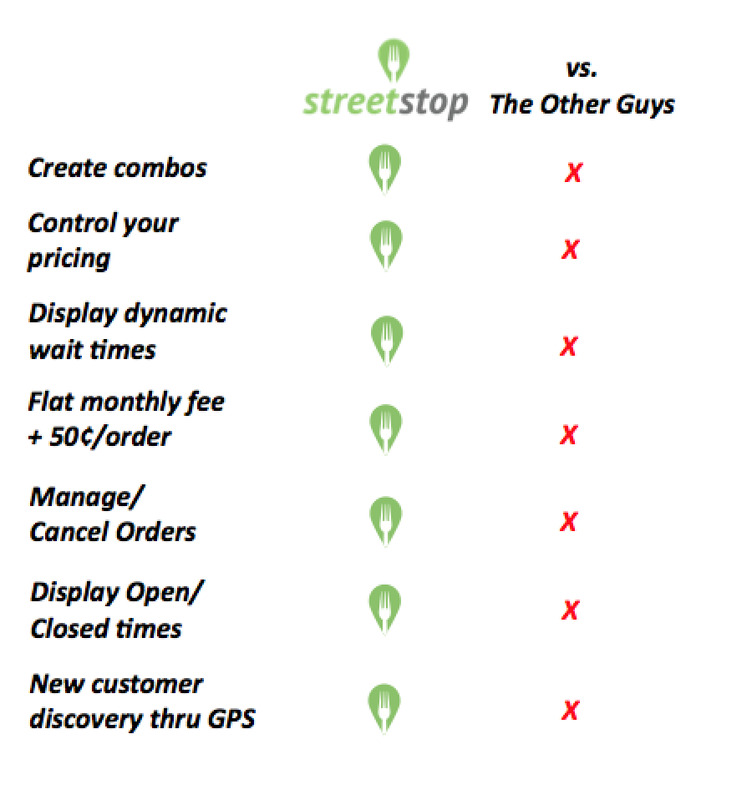 We offer many competitive advantages with our StreetStop membership. You're bust enough running your business. Let us help you find new customers and serve them more efficiently. Please tell us about your truck and your menu...we'll get in touch to arrange an appointment for inspection and handle all the rest of the boring paperwork!